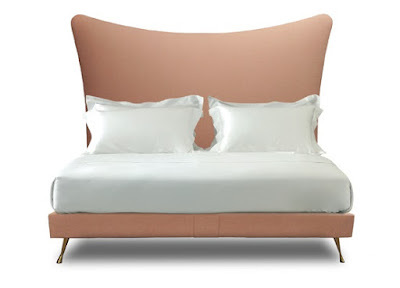 Savoir Beds is thrilled to reveal one of its latest designs, Amelia, to its readers! This baby pink design is the brainchild of our wonderful Creative Director, Mandeep Dillon. In a soft, powder pink colourway, Amelia oozes femininity, whilst its slim base and curved headboard give it a very modern aesthetic. The bed was photographed in Syon House, an incredibly grand stately home just outside of London. 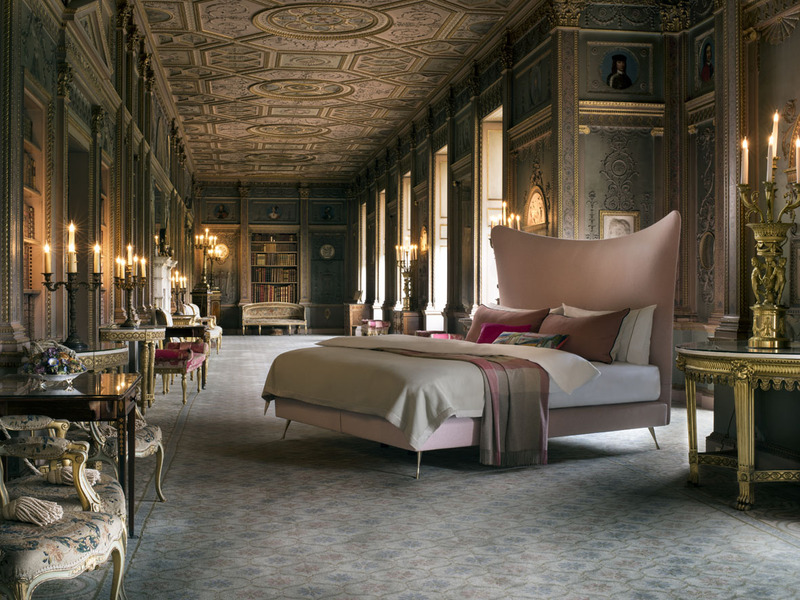 One of the most beautiful rooms in the building, the bed was shot in the ‘Long Gallery’ – an elegant 41.4m (136ft) long space with intricate gilded Corinthian pilasters and trailing stucco mouldings, designed by Robert Adam ‘for the delight of the ladies’ - the perfect setting to shoot the Amelia! Upholstered in ‘Divina’ by Kvadrat, the beds dusty pink wool finish gives it a delicate quality, while its tall, curved headboard creates a smooth silhouette. This style is complimented perfectly by Amelia’s brass angled legs and slim boxspring - providing a very contemporary edge and incredibly modern vibe. “Whilst quite modern, the curved shape of the headboard was designed to reflect the femininity of the space", Mandeep says. "The wool felt upholstery was chosen for its tactile, matt quality and is the same shade of powder pink as the pilasters and ceiling of the Gallery. The bed was designed to reflect a daintiness that also translates to a very current, trend-led style. I hope this design offers a new, modern take on the classic ‘girly-chic’ aesthetic." What space do you think would make the perfect setting for the Amelia? Tweet us your ideas to @SavoirBeds1905! Interior has a huge impact on our health. Even colors are more important in the design than shapes. Once a person chooses warm colors, the mood is going to be more positive. Besides color psychology, these guys can do your essay on Web design and Culture and Ethnic Studies.